4 Core Principles of Inbound Marketing | TrueLogic Online Solutions, Inc.
Old marketing tactics aren’t nearly as effective as they were before the time of the internet and information overload. Whereas before, you had control over the market because their choices were limited to what was in the immediate vicinity, today you have to get your voice heard over a sea of options by giving the consumers the best answers to their needs. This is the reason inbound marketing lies at the heart of internet marketing solutions. Another thing you can do to stand out is to think of a marketing strategy that stands out from the rest of your competitors. A very good example of this is BlendTec’s “Will It Blend?” series on YouTube, where they blend different things to show how strong their product is: a blender. 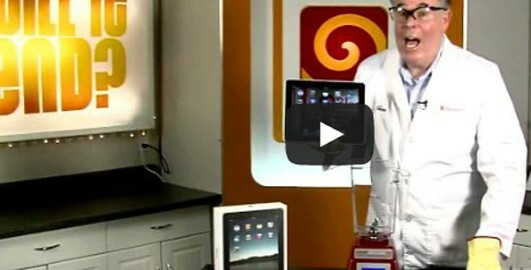 By blending things like electronics (see video below), cars (they blended a piece of the Ford Fiesta), and even a human skeleton, they made a rather plain product more interesting while proving how good their product is. If there’s one lesson you need to learn fast about inbound marketing, it’s that it never is about you. 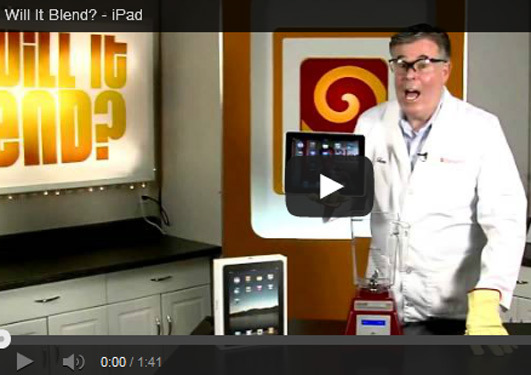 It’s about what your market wants, and what your competitors are offering. It’s about how you can improve the solutions that other experts in your field offer and collaborating with them in order to create effective products or services. Take the time to listen to your target audience by tracking online conversations, participating in forums and discussions, and helping others by answering their questions online before letting them know what solutions you have to offer. Fully Booked does a great job of this in their Twitter account. They’ve created Lucy to listen to the needs of their followers and their customers, and Lucy answers their queries and makes customized offers based on what their followers tweet to them. 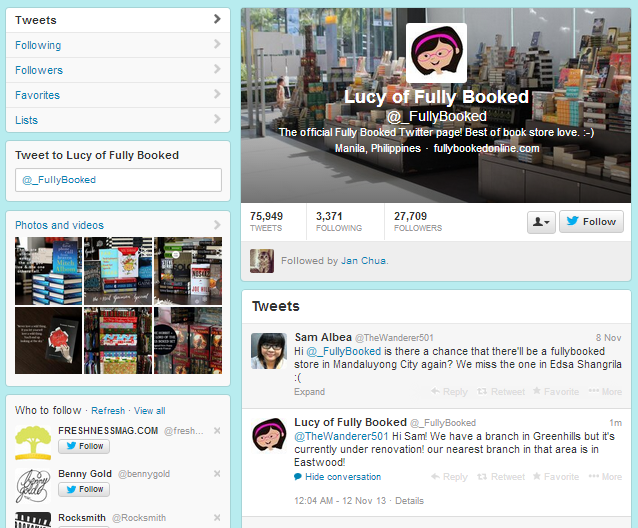 Fully Booked’s official Twitter account is a good example of listening and then talking in inbound marketing. Marketing doesn’t happen when you’re trying to attract new followers, and it most certainly doesn’t happen when your audience buys from you. It happens in between, when your target market is still trying to make the decision to buy from you. Creating an effective lead nurturing and online marketing strategy helps keep your brand in your target audience’s radar. Done right, it also triggers buying decision points that lead your market to complete your conversion goals or make a purchase. It’s important for you to market through multiple channels and integrate your strategies for maximum effect. Provide a constant flow of fresh content, interact in social media, build their trust by continuously communicating with them and answering their questions, and establish your leadership by building your network of influencers. These are only a few of the things you can do to trigger your audience’s buying decision. It’s important to continuously test what strategies work and what strategies need improvement for you to adjust your campaigns accordingly. Testing allows you to check all the elements that go into your marketing efforts and help you measure your performance more accurately. The information you gather from these tests can help you influence your customer’s final buying decision. The type of testing you need to use depends on the strategy that you want to test, or the goals that you want to measure. But whether you do split testing, incremental testing or A/B testing, you need to test new strategies and continuously improve your methodology to ensure continued success. Your inbound marketing strategy can be better with our help. Let’s talk – we’ll discuss your current strategy and create an improved marketing plan for your business.